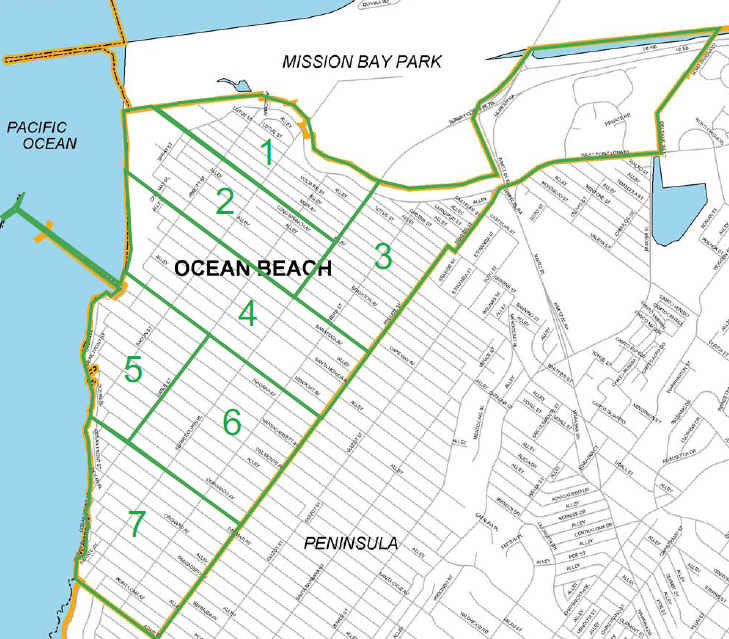 The OB Rag has learned that the schedule of hearings and meetings on the OB Community Plan by the City Council and its committees has been set. The first meeting is this week, on Wednesday, April 30th, at 2pm before the Smart Growth and Land Use Committee – and OBceans are encouraged to attend and lend support to the final version of the Draft Community Plan Update. This is great news, as OB has been going through a twelve year process – led by the City – of updating the Ocean Beach Community Plan – also called the OB Precise Plan – the official blueprint for development and construction within community planning area – and now dates have been set for the reviews by the various City Council committees, the Planning Commission, and the Council itself. OB’s planning committee approved the Update on December 11, 2013. The Board had gone over dozens of proposed changes to the update by residents and Board members alike with recommendations of the sub-committee, a group that itself had weeded through over a hundred proposals from the community. The proposals came in a series of board meetings, at a town hall hearing, through letters and emails. The Board began this most recent process of the Update in early July 2013. These series of meetings then are the last stretch in a long process of what is the most important policy to effect Ocean Beach in regards to Land Use for the next 20 plus years. We were notified of the schedule by Giovanni C Ingolia, Co-Chair of the OB Community Plan Update Sub-Committee. The OB Community Plan is near the end of the Smart Growth Sub-committee’s agenda. The meeting begins at 2pm. Here is the link to the agenda for the Smart Growth and Land Use Committee http://docs.sandiego.gov/ccagenda_sglu/sglu140430.pdf The Committee meets in the Committee Room, 12th floor of City Hall, at 202 “C” Street in downtown San Diego, 92101. This is the first of 5 hearings – (tentative) schedule. Please show your support by attending these meetings and hearings. The first one is Wed, April 30th, downtown.